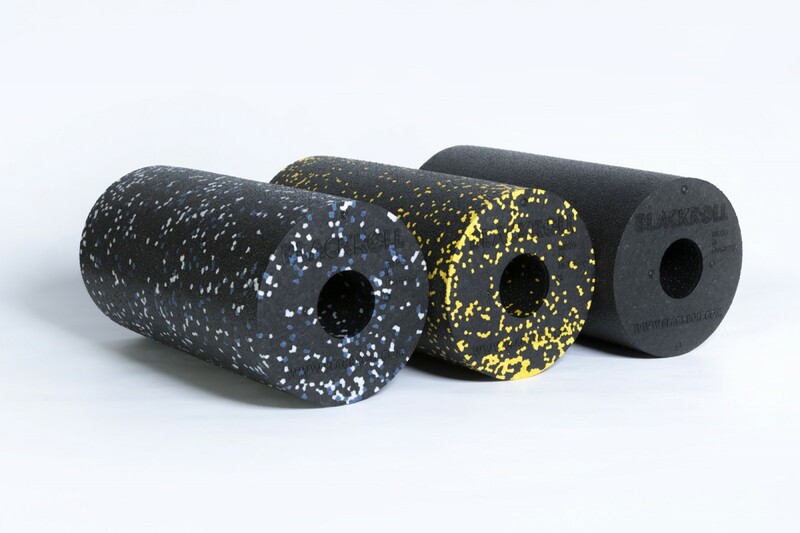 In order to loosen efficiently the muscles after an exhausting training, without having to visit a masseur or physiotherapist, you get the BLACKROLL massage roll Standard. Loosen easily and quickly all stiffness and tensions with this accessory. For beginners and advanced users, the BLACKROLL massage roll Standard is very easy to learn. After just few applications, you get a feeling for how much pressure and load you have to exert on the BLACKROLL to loosen tensions. Use the BLACKROLL massage roll Standard as ritual in the morning, before or after the sport or after a long working day. You will soon recognize the great benefit of the self massage. The BLACKROLL massage roll Standard is made of 100% recyclable material (expanded polypropylene). In addition, the BLACKROLL is free from chemical blowing agents, odorless, insoluble, resistant from oils, easy to clean, heat-resistant up to 110°C at least, sturdy, and abrasion-proof. The BLACKROLL massage roll Standard will improve your daily life and you will feel more energized and alive. Bardzo dobra jakość, właśnie o taki produkt mi chodziło, a cena bardzo dobra. Super sprzęt do rehabilitacji. Warto zainwestować, bo starczy na dłużej.